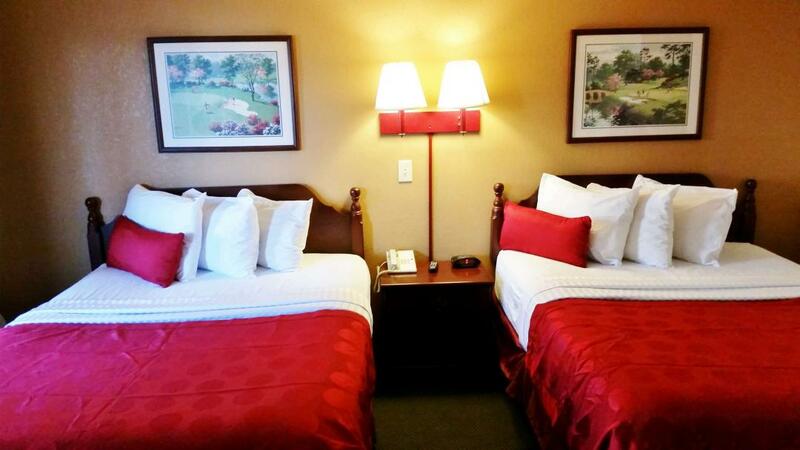 The Country Hearth Inn Hotel of Augusta wants to help you feel at home as much as possible when you're on the road. The choice for Augusta, GA hotels, the Country Hearth Inn Augusta Hotel, provides lodging near Georgia Golf Hall of Fame, Augusta Botanical Gardens, Augusta Riverwalk, Augusta Museum of History and Augusta National. 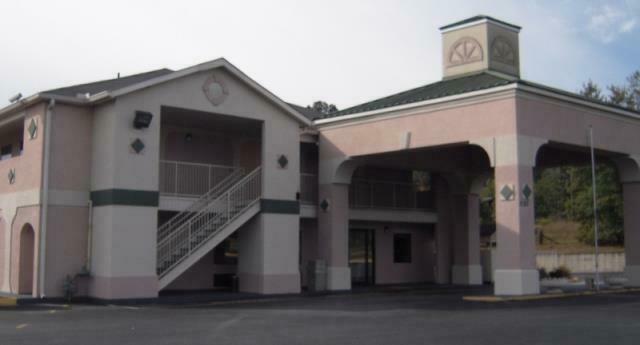 The Country Hearth Inn hotel of Augusta also offers a limited number of EcoRooms. Appealing to today's environmentally conscious guest, these rooms are designed to be environmentally friendly - using less energy and fewer disposable items. We are also convenient to a number of Augusta attractions and activities including Fort Gordon Army Base, Augusta National Golf Course, Riverwalk, Medical College of Georgia, Augusta Civic Center, Confederate Powderworks, Augusta Museum of History, Funsville, Augusta State University, Augusta Regional Airport, and the Augusta Greenjackets (Boston Red Sox Class A Affiliates). At the Country Hearth Inn Hotel of - Expect More. Get More. Relaxing, clean & convenient. That's what you can expect in addition to amazing & dependable service that you would come to expect with the Country Hearth name. Hibachi Grill & Supreme Buffet, 1.8 mi. Sarku Japan (Augusta Mall), 2.8 mi. Cheddar's Scratch Kitchen, 4.1 mi. Check out these Augusta attractions during your stay. 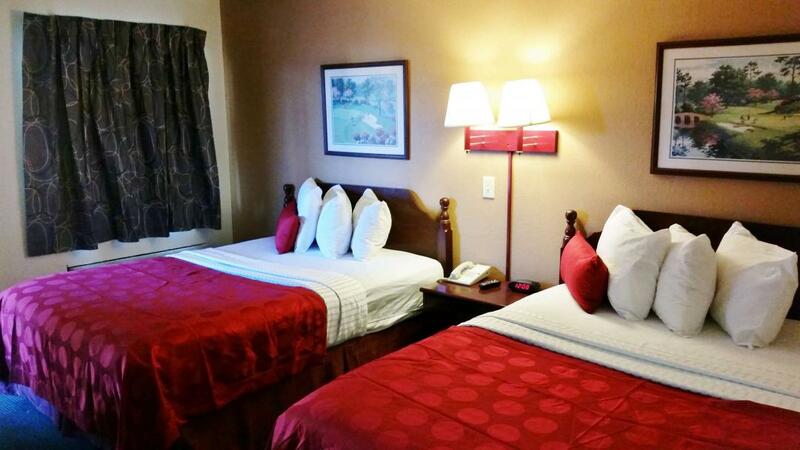 Spacious suite with 2 Queen Beds and kitchenette. Non-Smoking. Amenities include free wireless high-speed Internet access, full fridge, coffeemaker, hairdryer, 32 inch flat panel cable TV, HBO, ESPN, iron, ironing board, desk with lamp, table with chairs, alarm clock radio, free local calls, and wake-up service. Free deluxe continental breakfast is included. Spacious suite with 2 Queen Beds and kitchenette. Smoking Permitted. Amenities include free wireless high-speed Internet access, full fridge, coffeemaker, hairdryer, 32 inch flat panel cable TV, HBO, ESPN, iron, ironing board, desk with lamp, table with chairs, alarm clock radio, free local calls, and wake-up service. Free deluxe continental breakfast is included. 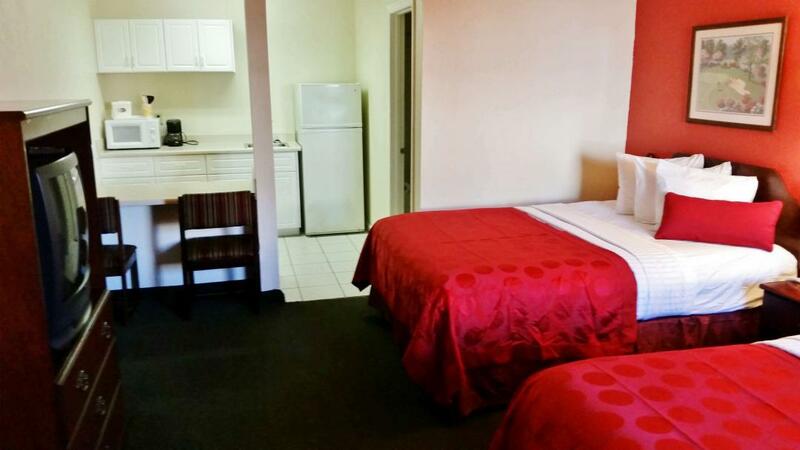 Spacious suite with 1 King Bed and kitchenette. Non-Smoking. Amenities include free wireless high-speed Internet access, microwave, full fridge, hairdryer, cable TV, HBO, ESPN, desk with lamp, alarm clock radio, free local calls, and wake-up service. Free deluxe continental breakfast is included. Comfortable guest room with 1 King Bed and a jetted tub. Non-Smoking. Amenities include free wireless high-speed Internet access, mini-fridge, coffeemaker, hairdryer, 32 inch flat panel cable TV, HBO, ESPN, iron, ironing board, desk with lamp, table with chairs, clock radio, free local calls, and wake-up service. Free deluxe continental breakfast is included. 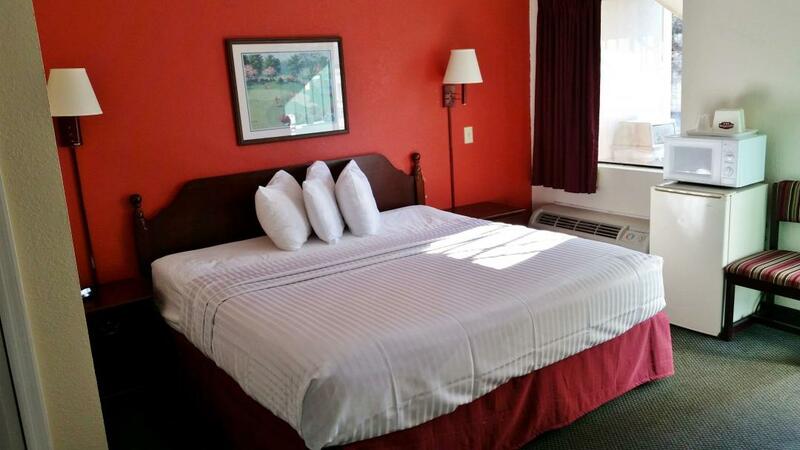 Spacious suite with 1 King Bed and kitchenette. Smoking Permitted. Amenities include free wireless high-speed Internet access, microwave, full fridge, coffeemaker, hairdryer, cable TV, HBO, ESPN, desk with lamp, alarm clock radio, free local calls, and wake-up service. Free deluxe continental breakfast is included. Comfortable guest room with 1 round King Bed and a jetted tub. Smoking Permitted. Amenities include free wireless high-speed Internet access, mini-fridge, hairdryer, 32 inch flat panel cable TV, HBO, ESPN, iron, ironing board, desk with lamp, table with chairs, alarm clock radio, free local calls, and wake-up service. Free deluxe continental breakfast is included.